FreedomPop, a start-up aiming to offer free and low-cost mobile broadband access, is now taking aim at the home Internet market as well. The company, backed by Skype founder Niklas Zennstrom, plans on Wednesday to start taking preorders for an $89 device to offer home broadband service using fixed WiMax service powered by Clearwire. 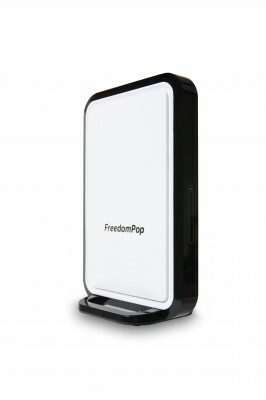 As it does on the mobile side, FreedomPop will offer a chunk of data free each month, with low-cost options for additional gigabytes. With the home product, customers will get 1GB of data free each month, with a $10-per-month plan offering enough additional data to meet the typical consumer’s needs. In an interview, FreedomPop CEO Stephen Stokols said that the average U.S. household pays upwards of $40 per month for home broadband even though more than half of users consume less than 6 gigabytes of data. “It’s going to be extremely disruptive,” Stokols said. FreedomPop says the home router will deliver far faster speeds than Clearwire’s mobile devices and that FreedomPop will only offer service to addresses where the company can deliver speed equal to or faster than those offered by DSL. Stokols said that the company had planned to wait until later to move into the home broadband market, but was encouraged by its early results on the mobile side which showed a substantial number of customers opting for FreedomPop’s paid services. In the first couple of months of offering an iPod Touch sled, USB stick and mobile hotspot, Stokols said that more than 20 percent of users have switched to a paid plan while more than a third of customers are opting for one of the company’s existing value-added services — such as notification of when one is about to hit their free limit. “We’re getting much better traction … than we ever imagined,” Stokols said. On the home side, the broadband plan is also a gateway to also offer additional services, including VoIP calling, among other things.